When you need a little time to yourself, remember about all of the day care centers in MA. Drop your kids off for a little and get the much needed alone time that you need. Apple-A-Day Care Center in MA has a warm and friendly environment that is not far away from home. The center has seen to it that your child will feel comfortable with their stay in here so you won’t have anything to worry about. This great day care center can easily take care and teach your little one about the basics in formal education. They put fun and excitement into your little one’s activities as well. 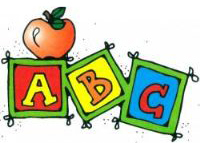 Appleseed Early Learning Center Inc. in MA believes that your child shouldn’t be rushed into learning things. Thus, they have fun filled activities that your little one will surely enjoy and learn from at the same time. They also have the greatest employees who can treat your child as if he or she is their own. This day care center in MA is certainly one of the best when it comes to child development. 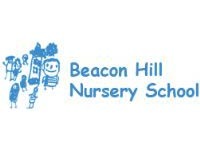 Beacon Hill Nursery School in MA simply has the friendliest staff in Boston! All of their employees are well-trained and they can certainly give your child a fun learning experience. They can look after the holistic growth of your little one and prepare him or her for the bigger world. One of the Citysearch’s Best! If you would visit Citysearch.com, you would surely find the Happy Child Day Care Center in their list of the greatest day care centers in MA. Well, this is not surprising at all. The facility deserves it and it’s truly a place that your child would soon consider as his or her safe haven. It has been in the area since 1989. Its founder is no other than Mira Fayngersh who has certainly spread her love for teaching among all the employees of this day care center. 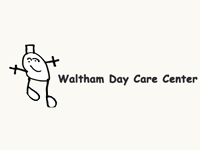 Waltham Day Care Center in MA can provide you with nothing but the best child care. They accept children aging from 12 months to Pre-K. Every child who is within that age range is welcome in this facility. The employees at this amazing day care center treat all of their students with love, fairness and equality. Most importantly, the rates of this day care center in MA are quite affordable suiting the budget of most parents in the area. 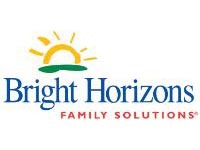 Bright Horizons in MA has a competent staff which only has the best intentions for your child. They can be everything that your little one would need in exploring the things in his or her surroundings. On top of that, these people can certainly make your child enjoy his or her childhood. This day care center in MA has more than 600 branches all over the country. So, feel free to visit the facility that is near you. Your Child's Stepping Stone to the Jewish Religion! Yal-Day-New Daycare Center in MA can certainly teach your child the basics of the Jewish religion. They can enhance the spiritual growth of your little one by introducing doctrines using both the Jewish and English language. 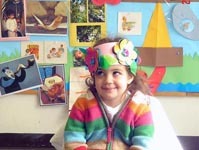 Children who are considered as infants to preschoolers are welcome to be part of this excellent day care center in MA. Just take a look at the center’s enrollment page on their official website for more information. 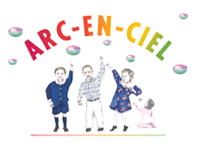 ARC-EN-CIEL Day Care Center and Montessori School in MA is an excellent bilingual institution that can certainly bring out the best in your child. Thus, if you want your little one to learn French and English at an early stage, then you are recommended to enroll him or her in this world class day care center in MA. This institution doesn’t just accept any enrollee. They see to it that your child is compatible with the programs that they have before they approve your application. A Gentle Approach to Learning! 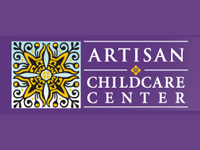 All the programs in the Artisan Childcare Center in MA are centered on your child’s holistic growth. On top of that, they will never force your little one to do things that they don’t like. They simply encourage your child to join activities that would be beneficial for him or her. This facility is simply one of the best day care centers in MA. It has the most child friendly staff and the greatest equipment for your child’s learning. Salem Community Child Care Center in MA can certainly nurture and help your child know everything that he or she has to know at a young age. They can also enhance the social skills of your little one for him or her to easily be able to make more friends in the future. If you want your child to learn and have fun at the same time, then you should consider enrolling them at this incredible day care center in MA. Yal-Day-New Day Care Center is one of the most renowned and ancient day care centers in MA. It started its journey in 1980 as a family childcare center. A highly skilled and professionally trained childhood director was also hired at the beginning of this company. It is actually a non-profit business organization which is run by the parents. All the employees of the Yal-Day-New Day Care Center are certified from the EEC and First Aid/CPR. As a result it is now used to provide high quality services for all the parents in MA. First Path can be a premier choice when searching for the best day care center in MA. This company not only cares and nurtures the children but also teaches them. It creates an environment that helps the children to learn anything easily. The aim of this company is to ensure a positive approach of learning to the children. The First Path allows infants, toddlers, and preschoolers. To make your child fit for the competitive world it can be a good opportunity to take the childhood care service from First Path. 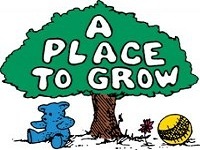 A Place To Grow is one of the leading companies in MA which has been taking care of kids since 1979. The aim of this company is to ensure high quality childcare services to all parents. All the teachers are highly skilled and professionally trained in childhood care. They always create a lovely relation between the children and the staff. All the staff as well as the teachers help each child to develop their own potential. Make a visit to this place or the website to know further details about A Place To Grow. Concord Children’s Center is a leading local nonprofit childhood care center in MA which was established in 1975. It was formed by a group of people who were committed to establishing the first childhood care center in the Concord area. In 1985, it was one of the first 19 programs in the nation to be accredited by the National Association for the Education of Young Children (NAEYC). Concord Children’s Center can be the best destination for professionals, families, and others concerned about the quality of early childhood education. 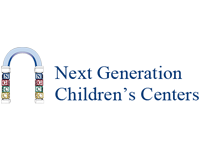 Next Generation Children's Centers is a leading childhood care center in MA which was established in 1993 and now it has a total of ten locations in eastern MA. The aim of this care center is to extend to your child care that can transform into your home. Over the years, Next Generation Children's Centers has grown very rapidly because it has fulfilled the commitment to provide the highest quality care and educational services to the children. 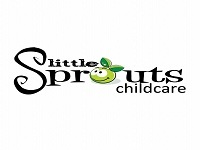 Little Sprouts is one of the leading day care centers in MA. Actually it is not just a day care, it offers a complete solution for every necessary step of your child like award-winning early education, child care, preschool, kindergarten and many more. All the teachers of Little Sprouts are highly educated and professionally skilled in childhood care. When you are searching for the best day care center in MA, Little Sprouts can be the perfect choice for you. To know more about Little Sprouts take a tour or just visit the website. Sunnyside Child Care is one of the longest running childcare centers in MA which was established in 1975. It offers quality care for children ages between 1.5 to 6 years. It is also a licensed center of the Massachusetts Department of Early Education and Care and awarded by the National Academy of Early Childhood Programs (NAEYC). 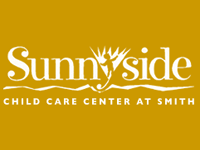 Sunnyside Child Care is not just a childcare. It aims to prepare your child for the competitive world keeping it feeling like a mother's care. The Learning Zone day care center loves children! 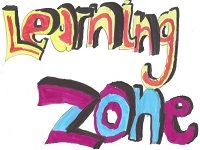 The Learning Zone is one of the largest as well as most popular childhood care centers in MA. It has locations in Weston, Waltham, Belmont and Watertown. The aim of this company is to help working parents build up their child's early career. A child needs to feel safe and loved to grow naturally which is what it provides. Take a tour of The Learning Zone and see with your own eyes how it prepares a child with love, affection and mother care. Melrose Daycare Center, Inc. is a non-profit childhood care center in MA which was established in 1971 by a group from Melrose First Congregational Church. This center cares for children between ages 2 months to 6 years. It is a non-profit childhood care center that receives funds from parents, the Department of Early Education and Care (Massachusetts), Bureau of Nutrition, Kappa Delta Psi of Melrose, and other charitable organizations. To ensure the best quality care services for your child, Melrose Daycare Center, Inc. can be a perfect choice in MA. 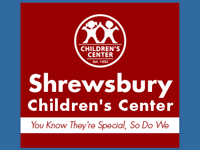 Shrewsbury Children's Center (SCC) is one of the leading day care centers in MA which was established in 1982. It is a family-owned-and-operated center which started the journey as a preschool program at the beginning but soon expanded into a full day care center. In the meantime it has been awarded so many times for its outstanding performances with childhood care services. Always it is well-committed to provide high quality childhood care services through their skilled and experienced teachers and staff. So no need to be worried about their quality services.